Harvest 2015, what happened at Carussin this year? How many things change over a year and what a difference to 2014 harvest, abysmal differences between the two harvests! Abysmal difference between the two vintages! Summarizing, if the harvest 2014 was difficult in the vineyard because of the bad weather, in the cellar on the other hand it was very satisfying, simple wines, but well balanced! The 2015 vintage, instead, revealed to be very easy in the vineyard, but with some difficulty in the cellar! In a nut shell, we brought beautiful grapes from the vineyards to the cellar, but we then got heavy and greatly structured juices, therefore, the most important wines will need more time to be bottled. Additionally, we have started a small adventure buying a piece of woods of 6, 8 hectares in Roccaverano: the woods represent life, biodiversity and the future, there are animals and life on the woods. 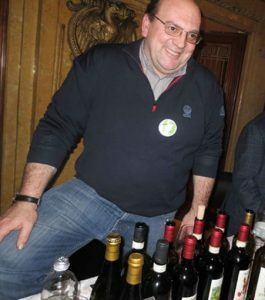 Just his vineyards gave him great satisfaction, they have comforted, encouraged and supported him facing the settling up his young, exuberant and entrepreneur kids: Luca and Matteo!! Moreover, among the work on his beloved vines, there are three fields of barley! That barley will be malted and used for Luca and Matteo’s brewery. Carussin’s cellar is going under adaptations to allow the installation of the brewery, bottling and stocking area, and racks to stock wine bottles to be aged are being changed, making a long story short, there are many changes coming up un Carussin’s “kingdom”, and besides the joy of seeing your own kids pursuing their dreams, Luigi observes with healthy “suspiciousness” the birth of an environment at Carussin shared between wine and beer: the dream of his kids!!! In the cellar, it was the second vintage for the latest arrival at Carussin’s home: Completo, simple wine, unique at its kind, born from an idea of the guys from NON DOS, that came up with the label! It is always a nice collaboration! Luca e Matteo: there are two relevant aspects to describe what both Luca and Matteo are doing at Carussin: first of them, in the summer, is installing the brewery at the farm; and the second one has accepted a work offer in Norway!! They are building their passions, although the difficulties they might find on the way. 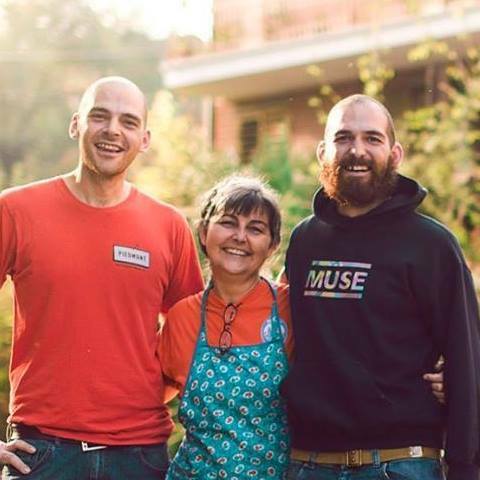 Luca has acquired the brewing facility from BSA and, right after 2016 harvest, he might have his first Clan!Destino beer made at Carussin; Matteo, up to 2017 will be in Oslo: as a waiter at Smalhans and bartender at Kulturhuset! Grappolo contro Luppolo is under the attention of his brother Luca and Valentina Cucchiaro: it is in great hands! A holy man had once a talk with God and asked him: “Lord, I would like to know how heaven and hell are like”. God guides him to two doors. He opens one door and lets him look inside. There was a great round table. At the center, there was a dish full of delicious food, smelling great. It made the mouth of the holy man water. The people sitting around the table were thin and weak, looking fragile and sick. They had starving eyes and long spoons attached to their arms. They all could get some food out of the dish with their spoons, but since the spoons were longer than their arms, they couldn’t reach it to their mouths. The holy man was scared with their misery and suffering. God said: “You have just seen hell”. Over the Land there is food enough to satisfy everyone hunger, not just the greed of a few!